There are 3 things that Berjaya Makati Hotel employees must never compromise for the guests: Safety, Security and Hygiene. 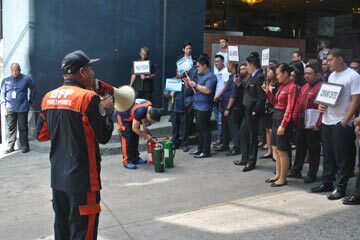 Relative to this, the hotel concentrated on raising awareness amongst hotel employees pertaining to safety by conducting its annual Fire Drill facilitated by the Bureau of Fire Protection along with the assistance of BMH Security Department. Apart from the employees, the management also encouraged hotel guests to join the fire drill in order for them to be equipped with proper knowledge in dealing with unfortunate fire incidents. The activity started with a seminar in the morning followed by the actual fire drill that was successfully carried out as planned due to the active participation of all the BMH staff. 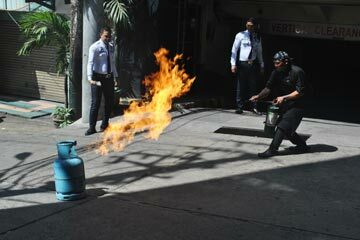 In this exercise, effective teaching has also been executed via hands-on practice that involved on how to use fire extinguisher by 4 selected staff. 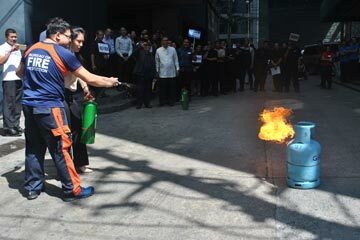 The month of March is considered as the crucial period wherein alarming increase of fire incidents happen within the country; thus, the Fire Prevention Month which is still on-going that started from 1st of March until the 31st has been implemented. 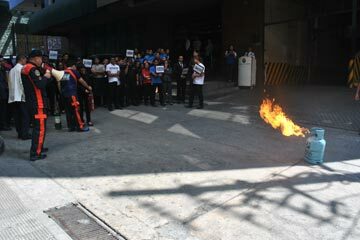 As mandated by the Bureau of Fire Protection, Berjaya Makati Hotel will continue out of its own accord to comply with the annual Fire Drill which also serve as a solid support to have a fire-free environment.